Charged with a DUI in Loveland, Ohio? 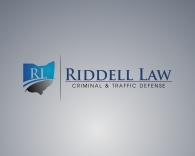 As a highly rated Loveland DUI attorney, Attorney Douglas Riddell defends cases of drunk driving originating from arrests by the Loveland, Ohio Police Department. With his experience defending DUI (OVI) charges in Ohio, his clients expect and receive experienced advice and counsel regarding their Loveland DUI charges. What surprises many though, is the level of personal service. The key is communication. As a client, you will receive unprecedented one-on-one access directly with your attorney, Douglas Riddell — not a junior associate or a paralegal. Whether an office consultation, phone call, email or text, you can be sure that every step of the way, you will be able to get your questions about your Loveland DUI case answered and your concerns addressed. A mandatory minimum jail term of three consecutive days (72 hours). This could include a jail term, an intervention program or a combination of both. The court may impose a longer jail term in addition, up to 6 months. The Loveland Mayor’s Court may order participation in a driver’s intervention program in leiu of jail time. In addition, the court may order additional treatment or education programs to be completed. Fines: Between $375 – $1,075 for a Loveland DUI conviction. License Suspension: 6 months to 3 years. The court may, however, grant limited driving privileges during the time of the suspension for work or school. To schedule your free initial consultation, call our attorneys now at (513) 655-7240. Because we know traffic and criminal charges rarely happen during 9:00-5:00 working hours, our Loveland attorneys are on call after hours, on evenings, weekends, and holidays to discuss your questions.